Need to sell your old house and move to a new place now? 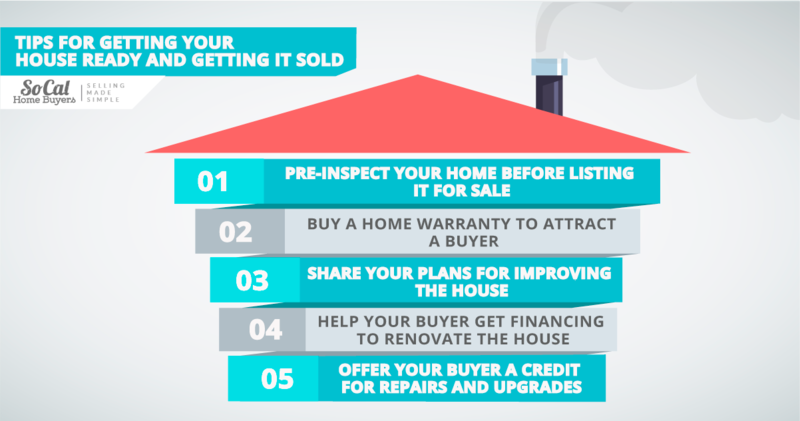 Making a checklist and moving though it before putting your home on the market will put you in the best position to sell. The first inspection to schedule when you’re preparing for a sale of your old house is yours. You need to walk through it yourself, as though you’re seeing it for the first time. Use a notebook or a voice recorder to capture your first impressions while you’re walking around, inside and outside your home. Take time to notice details you may have overlooked while living a busy life. When you see your home the way someone else sees it, the experience can be a game-changer. Suddenly, you know what needs to be done to capture the attention of a new buyer, because you can see and hear your own reactions clearly. Taking the time to pre-inspect your home thoroughly is the single, most valuable step to preparing it for a new owner. Few homeowners will take the time to pre-inspect, which gives you a genuine advantage in the local marketplace. Especially with an old house, providing a home warranty can influence potential buyers positively. When you buy a home warranty on your property, it protects the new owners through their first year of owning the house. And after the first year, they can extend the home warranty at their own expense. Many people, especially younger buyers, expect to have a home warranty, the same way they expect a vehicle warranty on their car, truck or SUV. You may have purchased your old house without a home warranty, but it’s a very common practice now. Home warranties generally cover partial replacement costs for expensive, unexpected repairs and replacements, such as repairing the central air conditioning or replacing the dishwasher. Real estate agents use a home warranty provided by the seller as a sales tool, because it provides a sense of security for buyers stepping into their new, unfamiliar home. If you had plans for turning your old house into your dream home, but some of those plans hadn’t materialized when the time came to list it, you can sell those plans right along with the house. Blueprints are especially valuable, and a notebook full of carefully chosen photos is also a plus. You have lived in the house, and you know exactly what’s needed to make it more livable. Sometimes a small, inexpensive remodeling project can provide better handicap access, more kitchen storage or stylish indirect lighting, in just the right way. New buyers will appreciate the ideas only you can share, and it could influence their decision to buy your old house. For big projects, like adding a deck or an additional bathroom, a detailed list of building materials with cost estimates is useful to buyers. Although they may have remodeling contractors they know and trust, bids from your chosen contractors can give them an idea of the costs involved as they are shopping for a new home. Renovating an old house is a popular choice among many home buyers now. Several TV shows and glossy magazines make it look easy and fun, although many steps in the remodeling process are left to the imagination. Millions of people watch as a complete home renovation comes to completion during a 30-minute TV program, or across a few magazine pages. The cost of the renovations may be mentioned as part of those presentations, but not how the project was financed. Obtaining financing for needed renovations can be a sticking point for buyers, at the time they sign a purchase agreement or after, when they’re accumulating bids during their inspection period. Real estate agents are familiar with the two types of FHA 203K loans available to buyers qualified for FHA financing. As the seller of an old house, it’s good to have an understanding about them, too, because it may be possible for your buyer to obtain one FHA loan to cover the purchase price of the house as well as the cost of desired repairs and remodeling. Another loan that rolls renovation costs into a package with the purchase price is the HomeStyle© loan from Fannie Mae. Compared to the FHA 203K loan, it’s simpler to navigate, and the total cost of the loan tends to be lower. This is also good loan for sellers to suggest when buyers are looking to renovate. Sellers always juggle their desire to sell for the highest price possible with the need to be practical in the real estate marketplace. 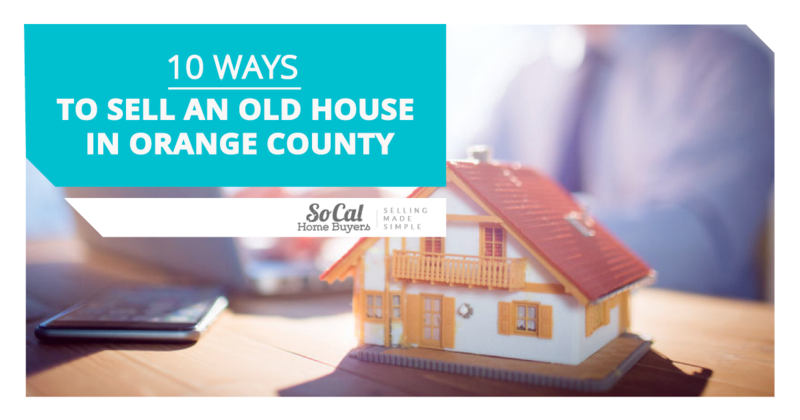 If your old house in Orange County needs repairs or updates so it can compete with other local homes for sale, one way to give your property an advantage is to offer a credit for future renovations. Most people want to select their own carpeting and kitchen countertops, and to express their personal sense of decorating style. Plumbing repairs and updates to heating and air conditioning systems aren’t as much fun, but they’re more critical than carpets and countertops. Offering buyers a credit for needed repairs and desirable updates may be a good marketing strategy. The purchase price remains the same, but the seller gives the buyer a rebate on the closing statement, which money is then available for them to spend on renovations. It’s easy to overlook the dated light fixtures found in most old houses, without considering how updated lighting could change the looks and function of kitchens, bathrooms and living rooms. Your home will show better when the lighting is excellent. Opening drapery and raising shades is one way to achieve better lighting before an open house or individual showing. But investing in a few new light fixtures may entirely change the character of a space, creating a charming back porch or computer/study nook, for example. But new options for lighting don’t always require a change of fixtures. Halogen light bulbs in an old chandelier can light up your dining room instantly. More light might not be needed for dining, but for doing homework or craft projects it’s a welcome improvement, one that homebuyers will notice. Make a list of the advantages offered by your neighborhood. You probably take it for granted by now, but people shopping for a new home need to see a bigger picture to fall in love with an old house. Is there a green space or a park nearby? Can you get groceries and take-out food close to home? Are there bike trails, community meeting rooms and a library in the neighborhood? Listing the amenities, even if some of them were not important to you, will help you and your real estate broker put the house in context for potential buyers. If you’ve decided to put fresh paint on the walls before listing your home for sale, take a cue from professional designers and remodelers – paint every wall a neutral color. White, cream and various shades of off-white are the most basic neutral colors. Stark white isn’t as common, but very slightly tinted white remains the most popular color for interior walls. If you’ve ever seen harvest gold or avocado green tile floors or appliances, you know those colors were wildly popular in the 1970s, but now signal the drastic need for a makeover. Deep red or brown walls, with heavy texturing and a satin glaze over the dark paint was trendy in the early 2000s, but once again, looks terribly dated now. Any house will benefit from walls painted in light, neutral colors, free of wallpaper, borders and decals. Giving potential buyers a clean slate for their own, personal decorating style is what gives your old house a competitive edge over others. All the effort invested in the previous suggestions may not lead to a successful home sale for you if your house is not priced right. Knowing your local real estate market values, especially those in your neighborhood, is what gives you the market data to price your house confidently and to close a sale transaction successfully. Remember to ask your agent or conduct your own research regarding houses that have recently sold. If you’re only looking at homes currently for sale, you’re missing out. The most relevant data may be harder to find online, so ask your agent to help you locate comparable properties that have sold recently in your area. Pricing your home for sale is not an exact science. You get a feel for it by looking at the local market data. 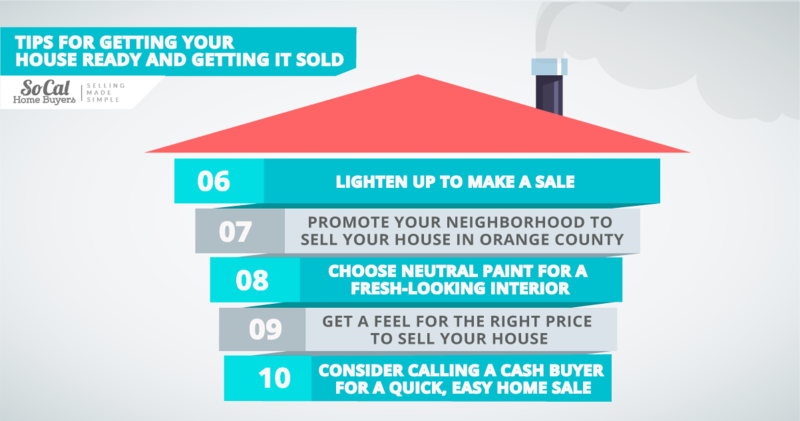 One of these ideas may bring you the buyer you need. But if you’re not ready to invest time and money to fix up and market your home, there’s another alternative to consider. 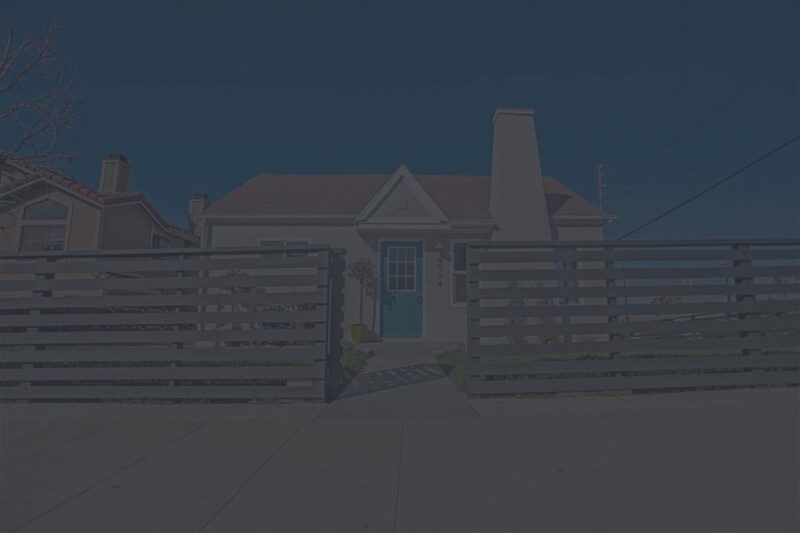 Cash buyers like SoCal Home Buyers will make you an offer for your old house, just as it is. You don’t have to fix it up and make it shine. It costs you nothing to call SoCal Home Buyers to get a fair offer on your property before you dive into any remodeling projects. They will take care of all needed repairs and renovations, and you will simply get a check for the price you were offered, in a matter of two or three weeks. Take the time to see your home the way a new buyer will see it, and think about how to sell it, not just when to put it on the market. The time you spend thinking through alternatives and planning the sale will pay you back at closing.